Each steak dinner includes salad and a choice of side. Wonder Bar is proud to serve only the best… Twenty-one day aged choice black angus beef, seasoned and grilled to perfection. 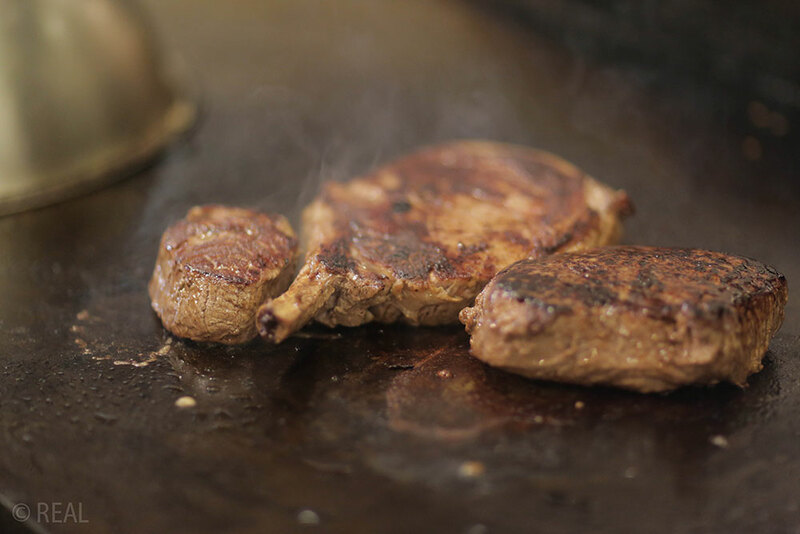 Our steaks are electronically temped to ensure consistency. Color may vary. This bone-in pork chop will melt in your mouth. Stuffed with an apple herb dressing and topped with an apple cider reduction. Served with mashed potatoes.